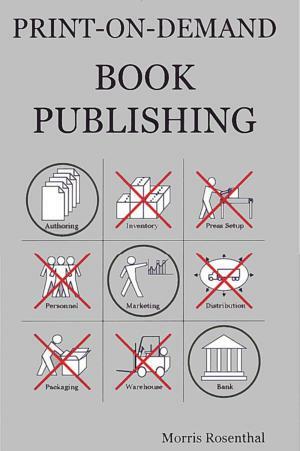 The basic business model of the book publishing industry remained largely changed between the Great Depression and the turn of the Millennium. Print a lot of books, try to get them reviewed so that stores would stock them on consignment, advertise, then hope that they don't come back as returns. Small imprints and self-publishers were reduced to begging distributors to accept their titles at discounts of 60 per cent or more, and were expected to accept returns in any condition and quantity. �Pint-on-demand book publishing, combined with short-discount distribution and Internet marketing, is turning the publishing business on its head. For the first time, authors are finding that they can launch their own publishing businesses and earn more from their writing than they would with a major trade publisher. Small imprints can invest their scarce resources in acquiring, designing and promoting new titles, rather than gambling on tons of books that cost money to keep in inventory. This book details the new method with which authors and publishers alike can use POD to cut costs and increase profits, while reaching new readers through the magic of Internet marketing.